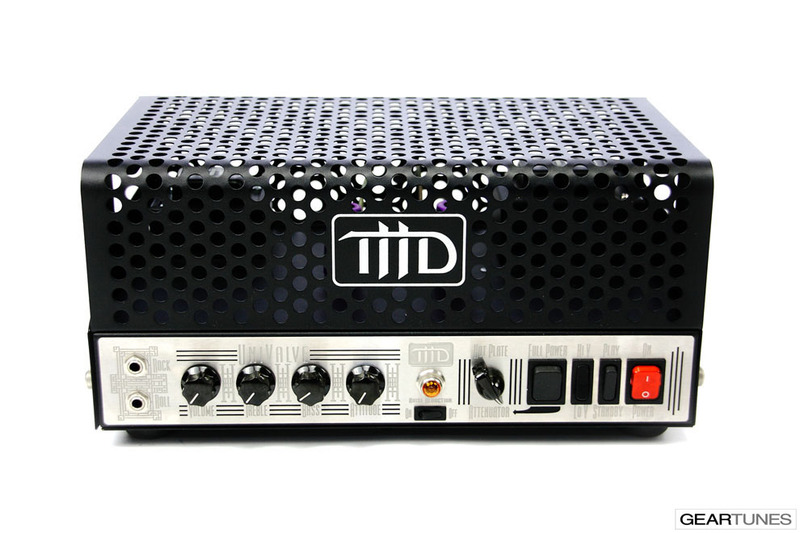 The THD UniValve is a Single-Ended Class A amplifier head with a single output tube that can be switched at will among many octal-based power tubes including 6L6, EL34, 6550, KT90, KT88, KT77 and KT66, for different tones without re-biasing the amp. Likewise, the two preamp tubes can be any combination of 12AX7, 12AT7, 12AU7, 12AY7 or 12AZ7. 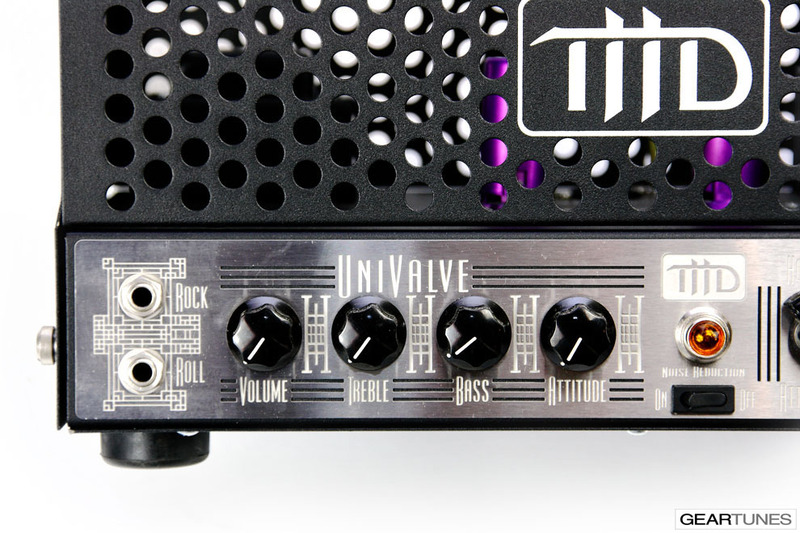 The UniValve delivers tones from smooth and clear to very aggressive overdrive. 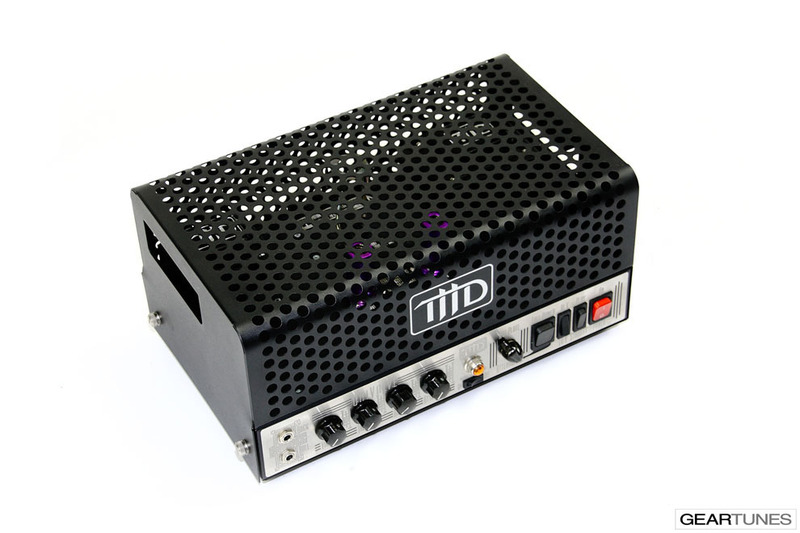 It is easily capable of driving a 4 x 12" cabinet, yet quite small and light. It has a built-in Hot Plate® Power Attenuator that allows for full output distortion at almost any volume. And it doesn’t cost as much as you might think. Class A is a term given to an amp that runs its tubes at full current all the time, unlike most tube amps that alternate between running one set of tubes and the other set, each for one half of the wave. The set not in use is turned off by a positive swing of the grid voltage. Single-ended out-put stages always operate in Class A. Most push-pull amplifiers, including the venerated Vox AC-30 operate in Class AB when overdriven, even if they are in Class A while clean. The upshot is that Class A operation has its own unique tone characteristics that set it apart from other tube amp classes. Class A amps sound great at low volumes, and even better as you turn them up. Thus, with the relatively low wattage of the UniValve you can turn up the amplifier to take full advantage of its stunning output distortion tone without deafening anyone. The UniValve’s circuitry senses the current needs of the output tube and provides the correct bias volt-age to the cathode of the output tube regardless of tube type or wear. 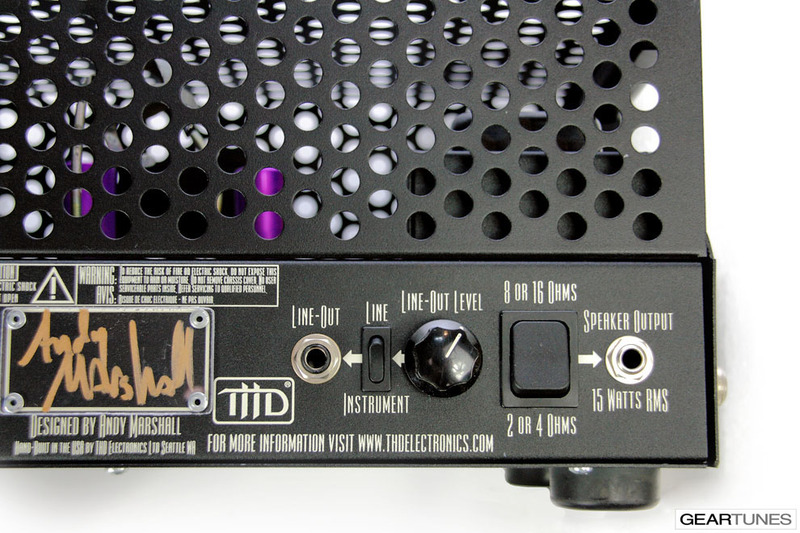 This means that, without any trip to an amp technician, you can simply replace the output tube with one that has different sound characteristics. (Of course, you can also change the preamp tubes at will for even more tonal variations.) For example, a 6550 will stay cleaner at higher volumes, but when overdriven, has an astoundingly "woody" character to the overdrive. On the other hand, an EL34 will break up earlier than a 6550 and gives a more "British" sound. The ever-popular 6L6 family of tubes gives a tight overdrive with less power than a 6550 but more detail than an EL34. Even within the same type of output tube there are "harder" and "softer" tubes, so two guitarists playing with the same guitar through the same UniValve, but simply switching the tubes to their preference, can have noticeably different tones. The UniValve has two inputs: one for high gain and one for low gain ranges. The low gain input with 12AX7 preamp tubes in the amp gives a wide range of clean sounds from "Country" clean and crisp to Jazz-direction warmth. With the controls pegged and a relatively high-output humbucker, the low-gain input can deliver a very convincing "Texas Blues" type of overdrive. Plug into the high-gain input and you are in a whole different world from early "British Invasion" tones to contemporary Heavy Metal sounds. The most surprising aspect to the UniValve’s high-gain overdrive is that even with stunning levels of grind, you can still play complex chords and hear every note of the chord clearly. There is none of the mush and confusion normally associated with high-gain tones. The controls are the traditional Volume, Treble and Bass controls along with what we call an "Attitude" control. The Attitude control is not a Presence control, as the amplifier has no negative feedback from the output transformer back into the driver stage. The Attitude control determines how the driver stage responds to signal and how it drives the power tube. 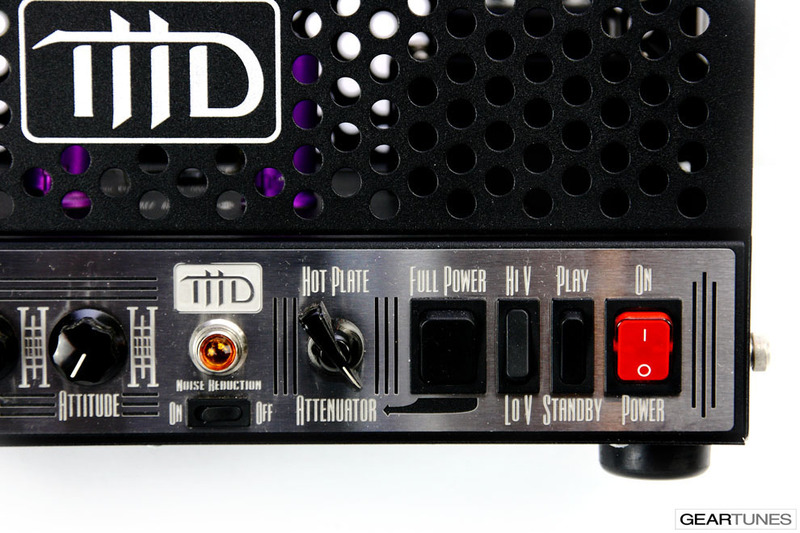 There is also a built-in THD Hot Plate power attenuator that lets you have full output distortion at any volume level. 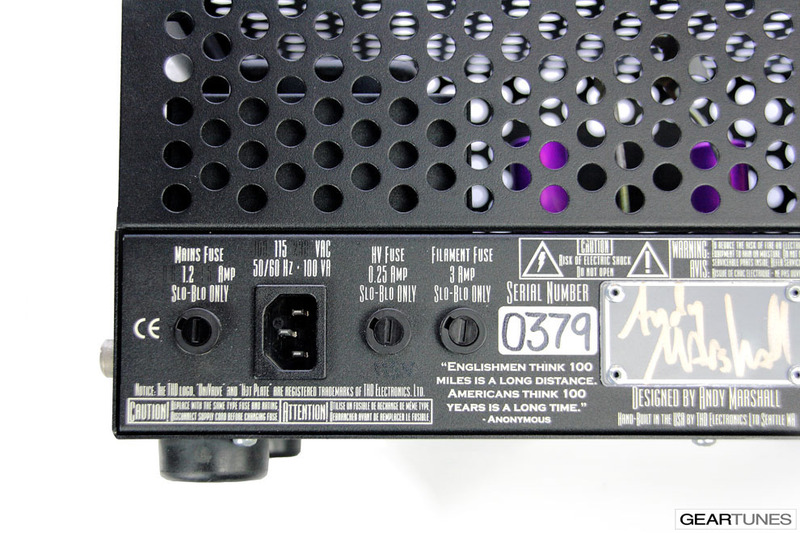 The Hot Plate has its own hard-bypass switch on the front panel, which completely removes it from the circuit for Full-Power playing into a speaker. The UniValve features a lightbulb on the front panel that not only glows when the amplifier is played, but it also provides very effective noise-reduction. For occasions when you do not want this feature, there is an On-Off switch for the light bulb circuit right on the front panel. The UniValve has a GREAT-sounding transformer-isolated line out on the back panel complete with an adjustable level control and a switch to choose Line-Level or Instrument-Level signal. The transformer used in the line-out was chosen for its pickup-like im-pedance and tonal characteristics. 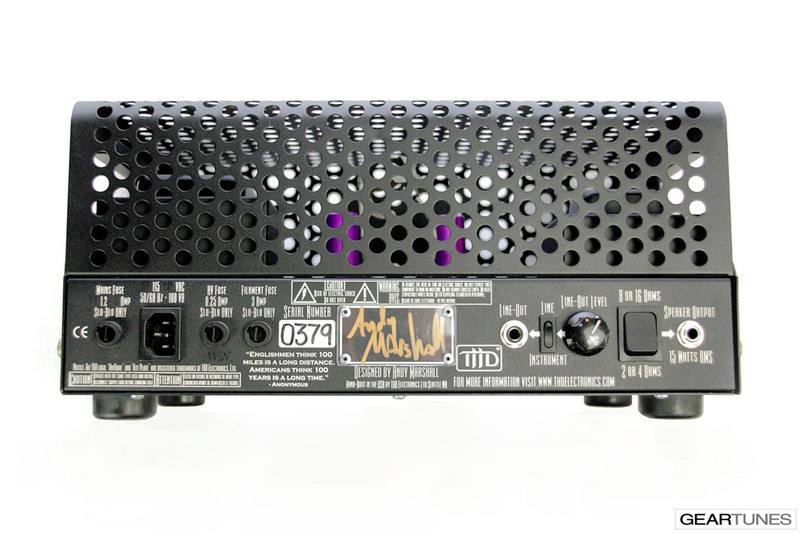 Most amplifiers’ line-outs only work well when used to drive other power amplifiers, and sound harsh and thin when plugged into the guitar input of an amplifier. Not so with the THD UniValve! Even into the input of a Marshall 100-watt head, the UniValve provides a warm, fat, tight and sweet sound that FEELS like an amplifier, not like a preamp-amp rig. The UniValve can drive any speaker load from 2 ohms all the way up to 16 ohms. When there is no speaker plugged into the speaker jack, the amp uses its own built-in dummy load so no damage will occur, and to allow the silent use of the amp for direct recording purposes when miking a cabinet is not practical. The UniValve will initially be sold only as a head. It is a metal chassis, powder coated and enclosed in a perforated steel cage to protect the tubes. In the coming months, we will be introducing a number of different combo cabinet and head box configurations. The UniValve can be installed in any of them simply by screwing it into the box. There will be a huge range of choices and options in the cabinets including head boxes, 1-12" combos, 2-12" combos, 2-10" combos and others. We will periodically produce "Limited Edition" cabinets with special hardwoods or other unique features. Anyone with a UniValve will be able to use these as swapping cabinets only takes about five minutes! So, go to your nearest THD dealer and try the new THD UniValve® amplifier. You will be glad you did.